We have a new shipment of jigsaw mats leaving port today. The shipment is expected to arrive on the 6th November. This shipment will consist of jigsaw mats and wall mats. All sizes and thicknesses that we currently offer will be in the shipment. The container is coming to our Sydney warehouse which is located in Belmore in Sydney’s inner west. Goods will be available for dispatch all over Australia. We currently offer delivery country-wide. If you require a jigsaw mat or MMA mat quote feel free to give us a call. Our national sales manager is Michael Foster and he have a great deal of knowledge about training mats and is always ready to help. We are also always willing to help as much as possible with freight quotes. 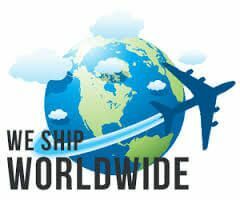 There are a number of freight forwarders available to us so that we can offer a number of options. Some will save you money whilst others will same you time. In any case you will be happy. It is often said that yo get what you pay for. If you are looking a purchasing a good quality jigsaw mats, foam mats or gym mats then you have come to the right place. Ezymats does not only look to offering well priced mats but also good quality. So whether you are looking at decking out your professional gym or home training area then you will be satisfied.